One more magic spring morning in London for our repair man, who are always ready to repair all site hard surfaces damages and clear snag lists. We would like to point few repairs we completed. 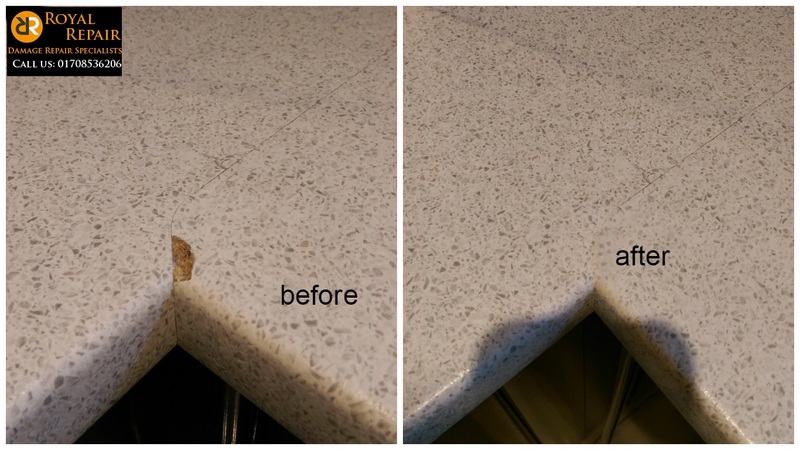 First – Worktop chip repair in Islington, North London. It’s very easy to damage Laminate worktops, but it’s not easy to fix work surface and make it invisible. Second – basin scuff repair in Canary Wharf, East London. 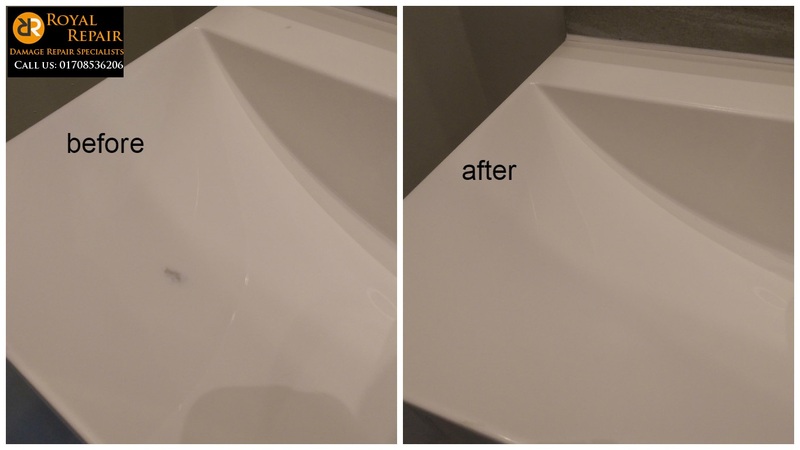 Sink was damages by falling glass, but damage repair Specialist managed to repair basin to perfect condition. 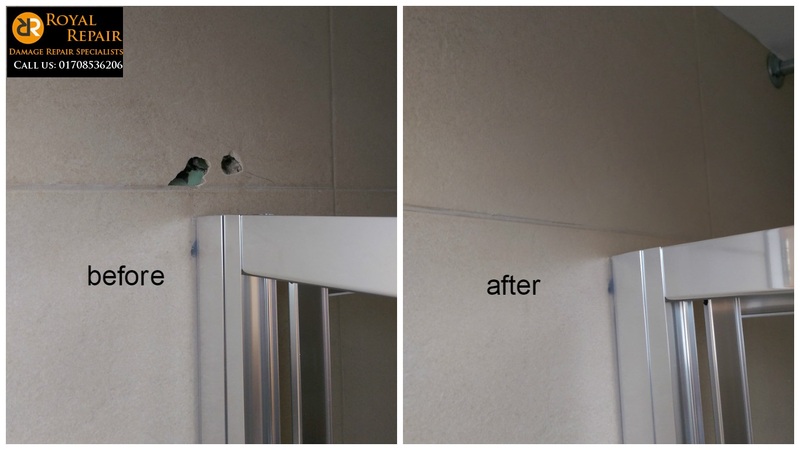 Third – wall tile hole repair in Mitcham, South West London. Trade fixed shower screen a bit to high, but we make any tile holes or damages invisible!